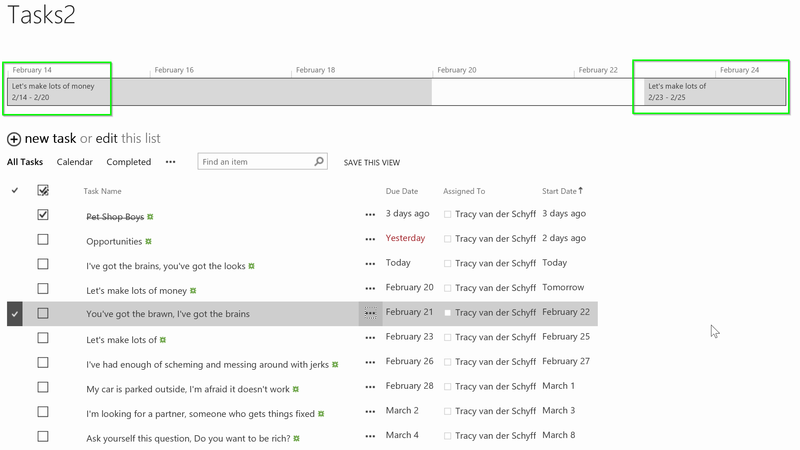 #Office365Challenge Task lists are one of my favourites to show business the value of SharePoint. So much time is wasted taking notes in meetings, then capturing it in Excel, distributing it and trying our best to manage and update them. Thanks to Task Lists, this can be a less painful task. Not sure how to build a task list, see my post here. Remember that on any web page you can press CTRL+P and it will bring up your print options. Voila! Thanks a lot for your blog which saves me efforts to get trained on Office 365. However, one question : when i link two tasks, the arrow appears on the Gantt chart but the successor does not get shifted after the end of the predecessor as you show on your blog. 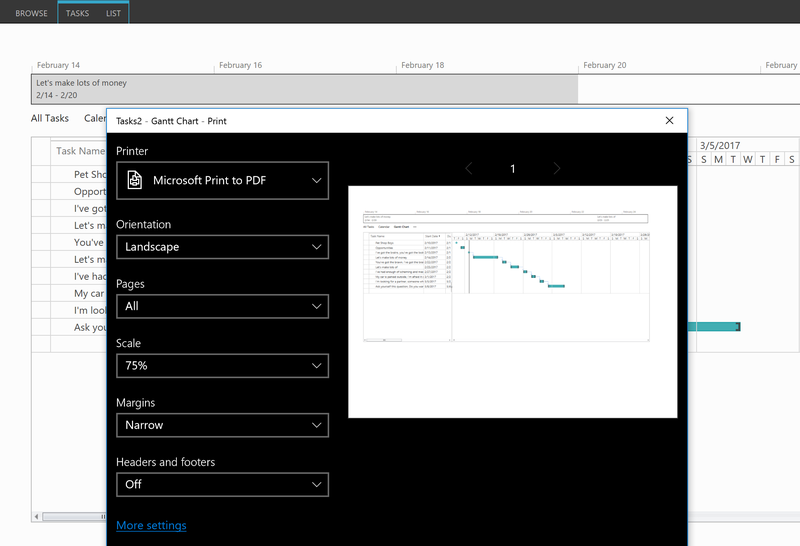 Also i can only print the Gantt Chart which appears on the screen; what about the whole chart if it goes beyond the display screen ? How can I get view like as you have shown in Gantt chart.Tasks on the left and bars on the right with dates. 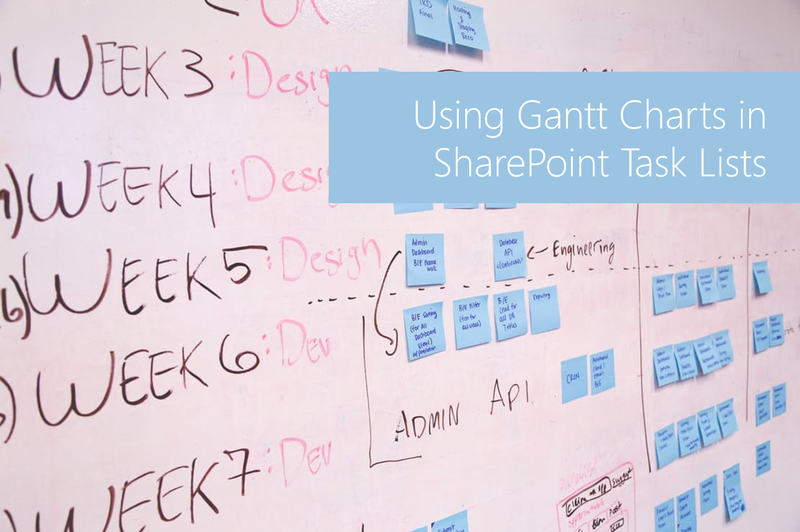 You need to change the view from all items to Gantt chart. When in modern sites the view drop down will be on the right – or you’ll find it in the ribbon under current view.